The charity has a range of leaflets, flyers and posters that you can circulate/share with your teams, colleagues and friends digitally using the links below via email, your organisations intranet or website, or in your e-news. Alternatively you can request hard copies be sent out to you for distribution. As a charity we obviously try to be as environmentally friendly and efficient with our resources as we possibly can, so if the latter is more appropriate, please consider costs to the charity, by making a donation to cover the cost of print and postage. If you are interested in discussing a charity partnership or use of the charity’s logo, please contact the marketing team on the details below. Please do get in touch to let us know how you are using our materials as we like to keep track of where and when they are being used and ensure we can predict any spikes in enquiries. 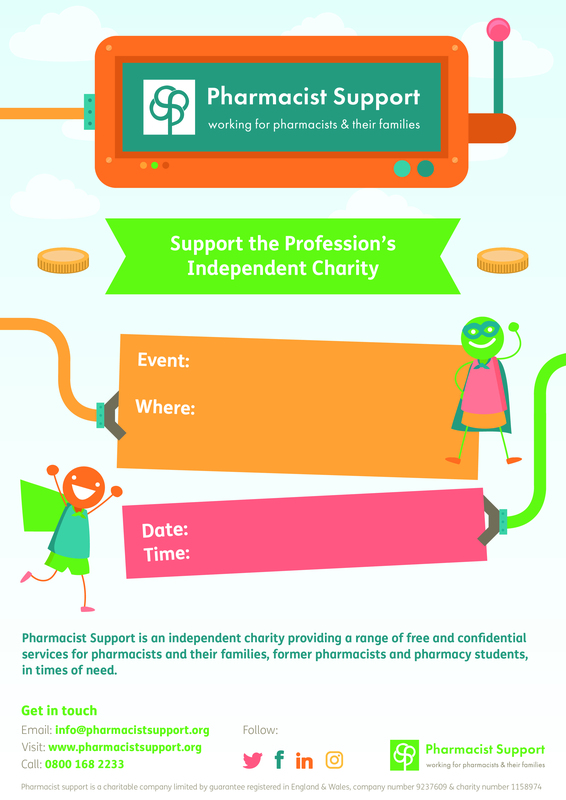 To request resources be sent to you please email marketing@pharmacistsupport.org or call 0161 441 0319. Thank you for your support in helping us raise awareness of our work.